The_Weather_Vane in 2012 - a year of blogging.. I am happy to say that I witnessed many events this year which helped push me to document and learn more about weather events. Last year I took two courses at the Mt. Holly National Weather Service so that I can be a volunteer Storm Spotter. With this I report key information that Meteorologists use to help produce "ground truth" so that they can compare data with other advanced weather tools and information. This year I learned about Tsunamis, Space Weather events and read and wondered how much more I should do to learn about Meteorology and being a Writer. After thinking of new ways for me and this blog to evolve I have stepped things up to a new level. I have enrolled with an online Meteorology program with Penn State. I am anxious to learn even more as I exercise my mind in writing here and learning from experts. If you are new to the blog I am here to help. Here is a summary of events with links to each story that I posted throughout this year. I reported storms as a Storm Spotter and made many updates to the blog. Video of a terrible hail storm in Dallas with a hail stone size list. I have to talk about all my posts about this storm. Many news outlets and weather watchers complained about the over use of hype and scare tactics reporting about this storm that was coming up the East Coast. I for one am happy that I spoke up about this storm. I was talking about Sandy online and posted here on the bog days before it hit our area. Did my warnings help you? What is considered too close for comfort? An asteroid measuring roughly 3 miles across passed near the Earth last week at a distance of about 4.3 million miles away. So what is considered too close for comfort? To give an idea of the scale of this asteroid at its closest distance to the Earth, Toutartis 4179 passed at 4.3 million miles away. Our own moon is just 238,900 miles from us and Mars varies in distance because of the Earth and Mars have unrelated orbits around the Sun. Mars at is closest distance is 34 million miles and at the farthest could be 250 million miles out. Scientists state that even though Asteroid (Toutatis 4179) passed safely away from the Earth that it will return in the year 2069 and that time it will pass even closer to the Earth at 1.8 million miles. To give an idea how much damage this asteroid could do if it collided with the Earth, scientists state that the asteroid that would have killed off the dinosaurs would have been 6 miles across so if in one of its future runs it could cause catastrophic damage. I for one would wish that NASA would have in place an early warning system for large objects like this so that we could have enough time to do something to protect the Earth. Below is a video from multiple space radar images. This time Last year we had just a light snow storm but this year that was definitely not the case. 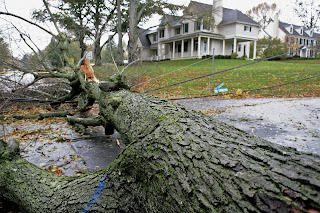 Sandy was a tropical storm that had Meteorologists scrambling to make a difficult and challenging prediction of it's path. Thankfully the weather experts used the best tools they had between the eye in the sky satellites, Dual Pole Radar, Hurricane hunter missions and several conflicting computer models. Even though the Mid Atlantic and Northeast were hit pretty hard we still should thank NOAA , NASA, The National Weather Service and The National Hurricane Center for keeping us very informed that this giant hybrid storm that was aimed at us, All their hard work paid off giving us many days of advanced warning. We need to look back and see if we ever have a storm like this come at us again to see what else we could have done to be better prepared. 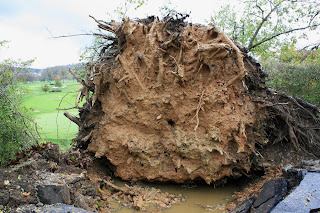 Back in August of 2011 I walked around and took pictures of the damage that Tropical Storm Irene inflicted nearby. I wrote about it's 10 feet high flood waters around Penny Pack Park and the flood in Hatboro near the creek. Just after my witnessing the damage from that storm I became a Trained Storm Spotter and I am glad I did that. 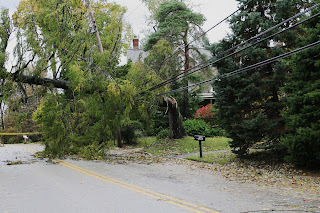 Along with writing for this blog, I have learned about storms and how to be prepared and I am finding ways to keep people in my community informed. So this time I took this storm (Sandy) very seriously, I read about it's potential storm track and I gradually bought supplies such as canned food, bottled water and lots of batteries. I soon learned that this was a wise choice as I lost power for three days and then left home because of the lack of heat and hot water. 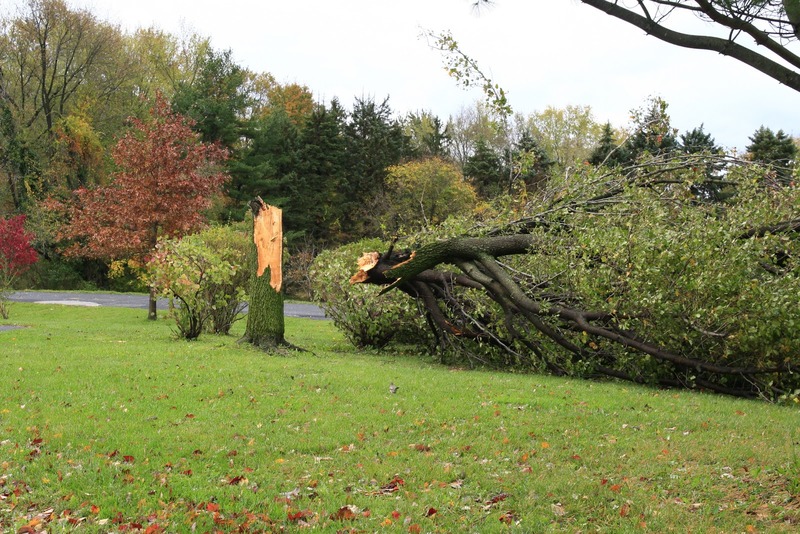 Social media played an important role in passing information about this storm quickly. The pic below was take on the evening of October 29th. I had already lost power for several hours and my cellphone batter was running low on reserve power. I took several pics like this through the storm and posted them online to chronicle the time, temperature, humidity and more dramatically the very low barometric pressure. As the pic shows the pressure was only 949 mb which I believe was lower than what I saw with T.S Irene. I posted my Now cast information as long as I could until my phone battery quit. 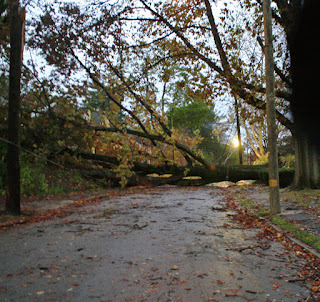 Later that evening I heard a loud crack and it turned out to be a limb from a tree that fell on top of the a car. The next day my brother Dan who is a photographer and a fellow Storm Spotter basically called me and said lets drive around and see if we could get some pictures of damage so we did that and went on a quick ride. 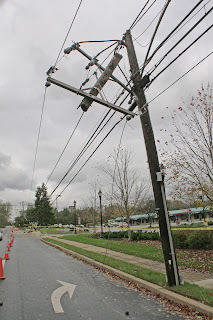 Here are a few pictures I took during our leisurely cruise through Montgomery county. After experiencing what is the strongest storm that has hit this area in many years, I am glad to say that I do not know of any injuries that has occurred I have to say that the last picture shows a branch that fell right when I was taking that shot and it started a small fire. I am just glad that I was not too close. Finally I wanted to share a new tool for communicating Weather awareness. The next evolutionary step I had to take was for mobile technology. I wanted to give my readers a gift in the form of a free mobile app. You can download the app for Android. 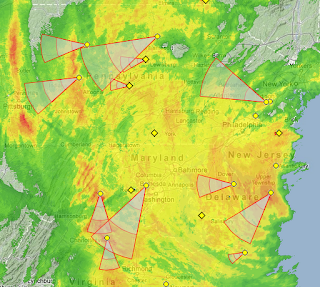 Hurricane Sandy has arrived in PA, winds have picked up in Philly to around 47 MPH. 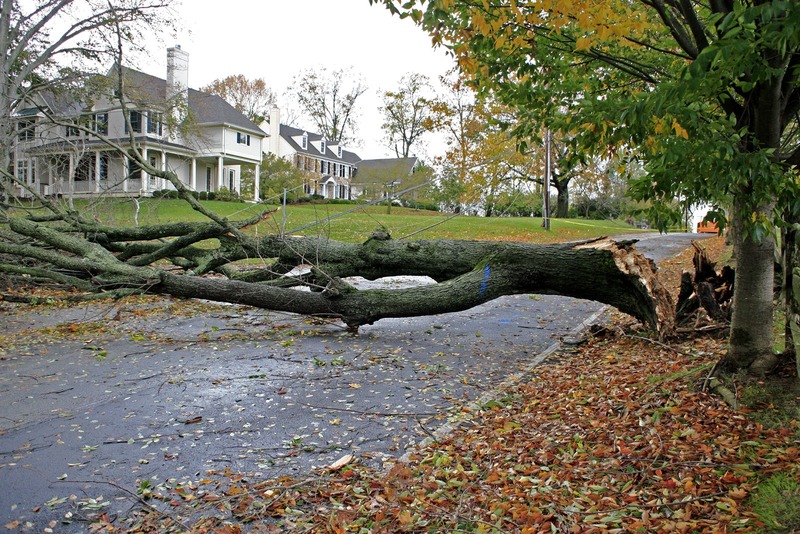 Reports of trees falling over onto a home in Hatfield and in Norristown PA, that occurred earlier today and Philadelphia Schools are closed again tomorrow. I do not expect to have continous electrical power throught the afternoon to evening. please keep listening to the news as the wind is not just the only dangerous factor of this storm. 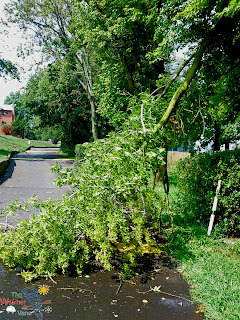 If live near a creek or a low area, leaves are blocking storm drains and you may find yourself in a flash flood. Animated satellite image of Hurricane Sandy in the Atlantic. Remember that all of the state of PA is under a state of emergency, please find your local government town, township or city sources on the web for information regarding preparation for this storm. 6abc news reported that the Mayor of Philadelphia declared a state of emergency for the city effective 5 PM today through 5pm on Tuesday. We could see 24 to 36 hours of heavy rain from this storm event. Winds of over 40 miles and hour will knock down branches. 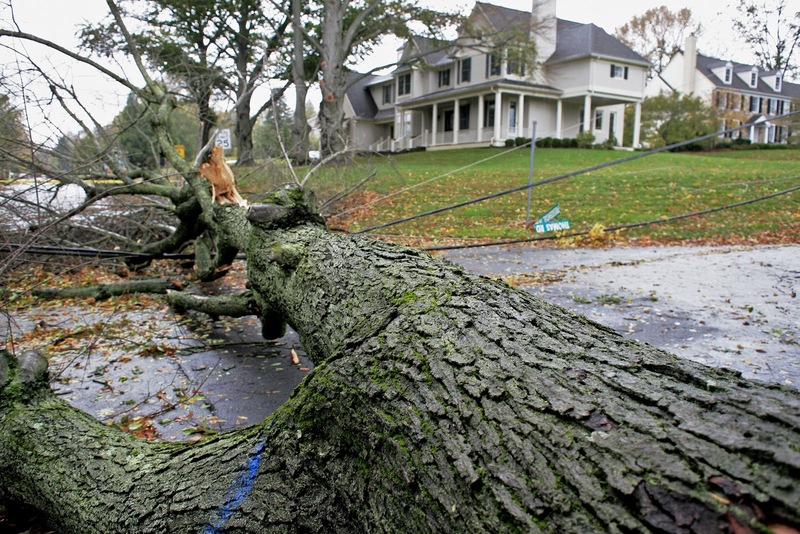 If we see winds of at least 58 miles and hour or more that could knock down large branches and some trees which they say could cause long term power outages for PECO and other electric companies. You should have batteries for a radio and flashlights for at least 3 days. I also suggest you have a cell phone car charger. Sunday beginning at 4:00 p.m.
Satellites can record and collect important data but that is not all they can do. 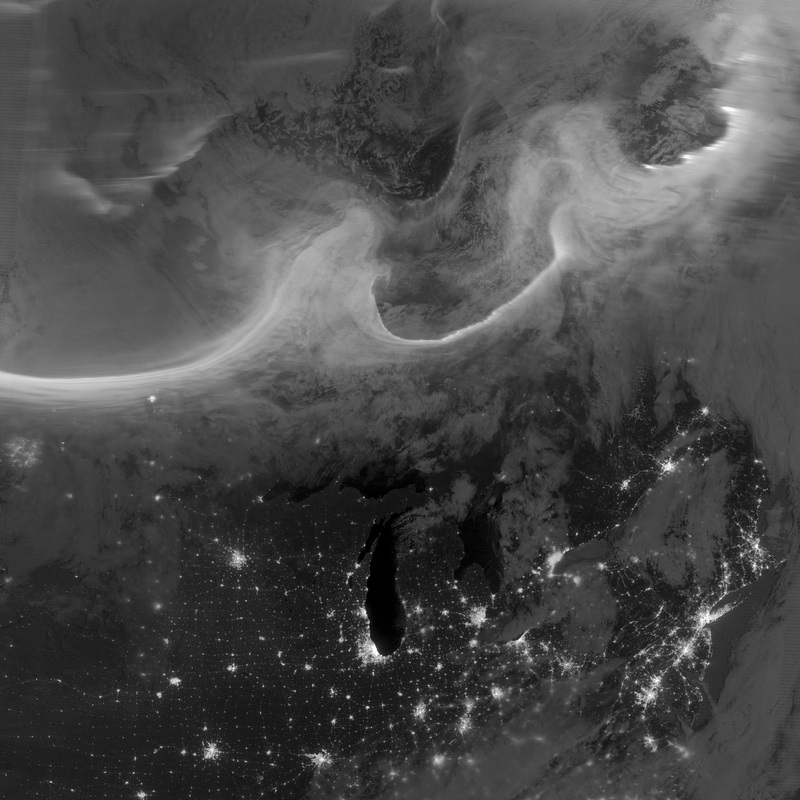 The Suomi NPP satellite with its multiple instruments can also capture images high above the Earth that we admire and use to study space weather. Back in the evening of October 4th, a solar flare erupted and shot particles of energy out of the sun which some of this energy was hurled towards the Earth. This energy collides with the outer atmosphere and affects our magnetic field, and this effect causes the Aurora Borealis also known as the Northern Lights to be seen in the Northern areas in Canada, Russia Alaska and other areas to the north. The image shown below was taken by the high resolution VIIRS. There are other images of Auroras taken by the International Space station as well. A recent online article on a Nasa website mentions that the solar energy particles that strike our atmosphere has an almost fluid like wave effect over the Earth. The Weather Vane has tools to help monitor the solar storms that create the Auroras, some of these solar storms can affect satellite communication, certain radio transmissions and in extreme cases power grids in Canada. Here is a great animated image of GOES 13 in action last year that followed Hurricane Irene. Back in December I wrote about a large national project called a "Weather Ready Nation". This is a project where several organizations have joined forces to inform public to being prepared for weather emergencies due to storms. Before this project the information we received was really only to alert of weather events and emergencies, however educating the public was difficult because there were too many fragmented national organizations that were trying to communicate public safety awareness. Internet technology had to be utilized effectively and messages from the scattered organizations were not being made mainstream into public media enough. Newspapers, Television networks and other media sources unfortunately depend on what readers and watchers want to see and they are controlled by its paid advertising campaigns. Public safety messages rarely are noticed because we have to admit some of the messages have been a bit boring or thought to be unnecessary because some areas of the country only see a strong storm every 50 years. Being a storm spotter I listen to co-workers and friends and they state the same thing. Meteorologists like to scare the public to think that a storm is coming and then it does not happen. 2011 was a busy year for weather events, records were broken in snowfall, temperature extremes and drought. These changes to our landscape has cost our county billions of dollars. NOAA, The National Weather Service and several other national organizations started this project to help the public to be prepared and to do so they will need to use the internet and smartphone technology which has become very popular and a logical choice to communicate quickly and to many people at a time. 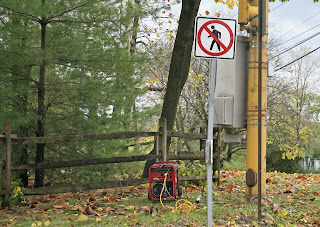 Other communication tools are considered because if there is a power failure, some methods of communication would not be reliable. The video at the bottom mentions the need to improve forecasts, alerts and the need to improve the way we are educated by using new media. Communication was only one part of the advances made by this project, here is a list of new or upgraded tools to keep our nation informed and to be prepared. Here is a video from The National Weather Service about WRN and the National Dialog event they had last December. The very first blog post I wrote last year was about myself and why I started this blog. I did not want to repeat what was already written however I want to write about my experience while working on this blog throughout the year. To start the blog I had to think about what to write and to keep a regular theme which has changed a little bit over time. I started to report local weather observations here but I quickly noticed that the blog was not read by just local readers. 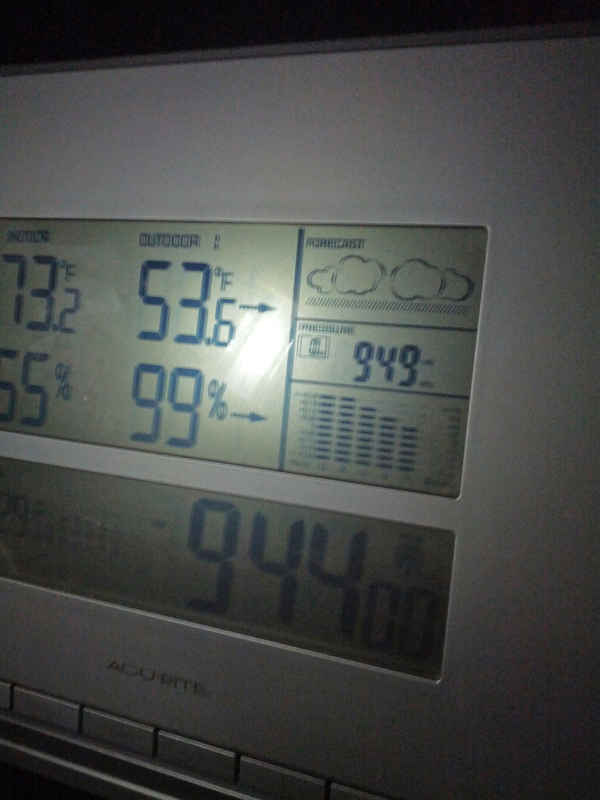 A simple weather report was not enough to inform and to entertain weather fans. I left the forecast posts for my social media sites and then only reported storm events and had the idea to try to travel around the area to report storms and take pictures. Tropical Storm Irene really had an important impact for me, I started to realize that a blog like this should not be just about weather reporting but should also involve communicating the need to be prepared for severe weather, other natural and man made disasters. Along with doing research for storm events around the world, and weather science stories, I have met many online contacts and groups through social media. I started to be much more active online and found more ideas for stories, great sources of information by many weather experts, scientists and journalists. I have posted a few stories in the local Patch newspaper and the blog is linked to the Time Herald paper. I have been more active on Twitter as @enso1998 and post daily on The_Weather_Vane Media page on Facebook. I had also connected with educational organizations, FEMA, The National Weather Service and with a local traffic blog writer @PaDriverWatch, where we exchange updates via twitter and on each others blog home pages with the idea that weather and traffic safety should be reported to the public especially now that most people carry smartphones and have the ability to access this information quickly. Weather topics is what this blog is mainly about, but public safety, emergency communication, and space weather technology are now new topics. As the year progresses into the Winter season, I will take more pictures to report how our area looks like again with a fresh coating of snow and ice as I have been doing from the start. I also have been making progress becoming a better writer, reporter and photographer. For 2013 I want the blog to have a more interactive experience, I want to conduct polls and ask questions to get readers more involved. The internet is a powerful tool and we should not take this for granted. And finally I want to thank all my readers and followers, I hope the blog helps you to be informed and to be prepared. Being informed is very important so that you and your family will be able to take action in advance for a natural disaster. Today on the news we are hearing of a tornado watch issued for NY and CT, what better time to take a look of what you would need in case our area has a severe storm watch issued. A disaster supplies kit is simply a collection of basic items your houshold may need in the event of an emergency. Try to assemble your kit well in advance of an emergency. You may have to evacuate at a moment's notice and take essentials with you. You will probably not have time to search for the suuplies you need or shop for them. You may need to survive on you own after an emergency. This mean having your own food, water and other supplies in sufficient quantity to last for at least 72 hours. Local officials and relief workers will be on the scene after a disaster but they cannot reach everyone immediately. You could get help in hours or it might take days. Additonally, basic sevices such as electicity, gas, water, sewage treatment and telephones may be cut off for days or even a week or longer. (depending on how strong the storm or event is) Your supply kit should contain items to help you manage during these outages. Water, food, and clean air are important things to have if an emergency happens. Each family or individual's kit should be customized to meet specific needs, such as medications and infant formula. It should also be customized to include important family documents. - Household chlorine bleach* - You can use bleach as a disinfectant (diluted nine parts water to one part bleach), or in an emergency you can also use it to treat water. Use 16 drops of regular household liquid bleach per gallon of water. Do not use scented, color safe or bleaches with added cleaners. I started this blog after thinking for years about how an event can affect you and your family. You may ask what event are you referring to? That is a good question and the answer is, a man made or natural disaster. There are many ways to categorize a disaster, in most cases the disaster that would affect South Eastern PA, would not be a major event because we normaly do not see strong weather. This is an important topic, if our climate is changing then how do we know that our weather could change enough for us to see stronger weather than before. Remember the earthquake in Virginia? When did you feel a tremor like that before? The_Weather_Vane was inspired by my personal interests to learn how and why our weather and man made accidents affect us. I thought for awhile about what should I do different on the first anniversary of the Blog. I initially could not think of anything, however I did learn from doing research this year is that the same message is heard after each storm that we hear about in the news. "We did not know it was going to be that bad", this is the quote I just heard that a woman mentioned in the news in Northern Louisisana. The area she is in was more affected than it was during Isaac than it was with Hurricane Katrina. This is exactly why we need to be informed and to be prepared. 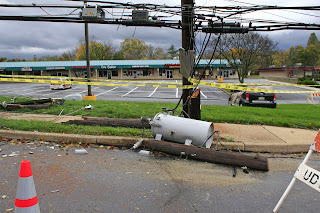 For a local comparison, we need to remember how we were affected by T.S Irene. For our first anniversary I wanted to use new tools to inform our public to help to be prepared for storms in our area. I only ask everyone to not only read the information but to help spread the word to family, friends and co workers so that we do not see people perish like what happened last year during Tropical Storm Irene in PA. I have joined a group with FEMA to collect more information about being prepared and I will make sure that on a regular basis this information is shared with my readers. This information will be posted on several social Media sites, like Facebook, Google Plus and Twitter. If you are not part of these social media sources then look for the box in the upper right side of the blog to subscribe to regular emails. "I will not spam you". • Ensure you and your family know your surroundings and risk for specific weather. plan in your home where family and friends who visit can see it. When a Hurricane Watch is issued this means the storm is within a 48 Hour time frame. You should already have a plan ready to take action and to be prepared if a warning is issued later. Make sure to check the news frequently for any changes in the storms path, a storm could grow to be a bigger threat than initially anticipated. When a Hurricane Warning is issued, you can expect the storm track to have a better chance to hit the predicted area within 36 hours. 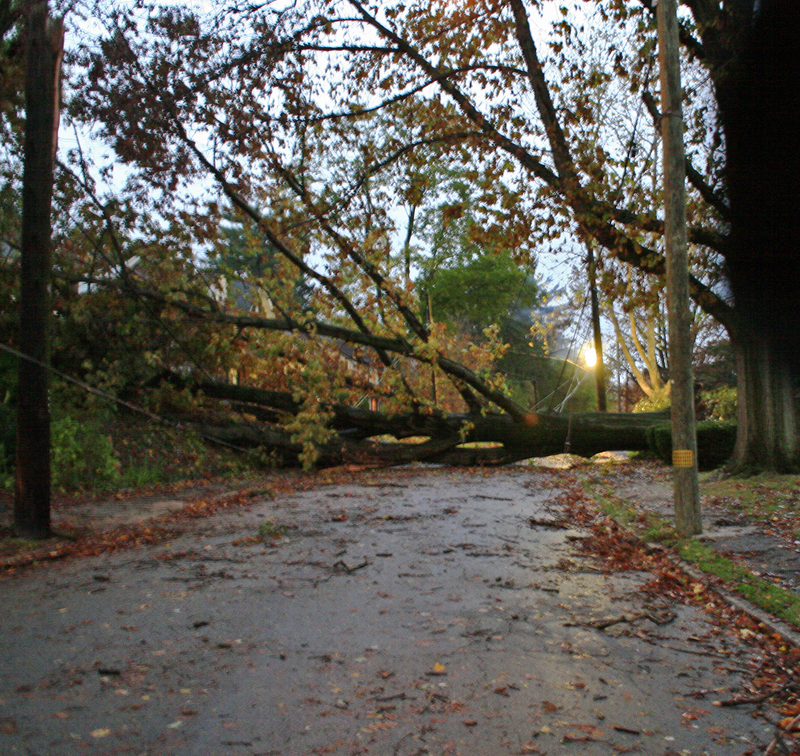 You should be ready to take precautions and stock up with supplies. Again check your local news for details if an emergency declaration or evacuations are issued by state or local authorities. As Tropical Storm Isaac is currently hitting Key West Florida, I had a friend remind me that exactly one year ago today Irene was causing power outages and flooding throughout Southeastern PA.
the Mayor of Hatboro PA had to declare a weather emergency and even with this declaration there were many people still caught by surprise. We are prone to the simple fact that we rarely have bad weather and it is easy in our busy schedules to not pay attention to the news. Hopefully with more people getting smartphones and have access to email, they have set up some kind of local news or weather alert so that they receive critical information from many available news sources. 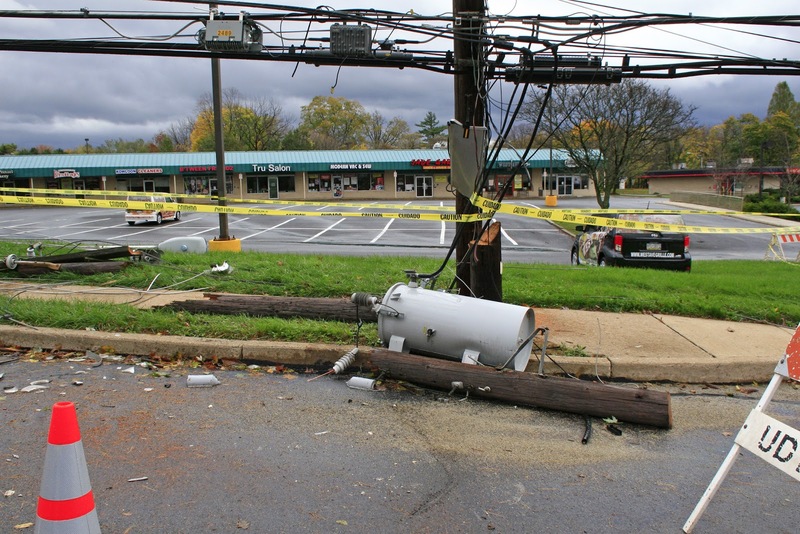 Many business were affected by this storm due to power outages, downed trees and street flooding. We are currently in an active time for the hurricane season, it is a good time to think about being prepared. With Tropical Storm Isaac on the news and remembering Hurricane Irene, I wanted to share this video from NOAA that explains the the basics of a Hurricane threat. It is fascinating and scary at the same time to think that a tropical Low travels across the ocean from off the coast of Africa to then become a Tropical Storm with winds over 39 mph and with the very warm ocean water in the Caribbean it grows into a Hurricane. The first image below shows its current projected track, several islands started to issue emergency warnings to it's citizens about this incoming storm. There are some who say that making advanced statements on its path towards the US is silly. I think it is better to be prepared than to wait and then have less time to evacuate or run out of supplies especially critical medication. The Weather Channel last night stated that if it hits southern Florida, it could be with a force of at least a category 1 Hurricane. A Category one hurricane is no joke, it still can bring deadly flooding rain and winds of 74 to 95 miles an hour. The second image is to show a clear example of Hurricane track history. The image does show a few storms that stray away from the US, but if you look closely, you can see that many of the storms did hit some part of the US. The last and third image is of its future storm track. Please note that today's forecast now states that this storm could bring up the 80 mph winds to Florida in less than 48 hours. So to put it simply if you live either in Southern Florida, the Gulf Coast, or the Southern US East coast to keep an EYE on this storm! Blame a warm winter, that is what the experts are telling us. Dallas Texas is under a state of emergency due to an outbreak caused by mosquito bites suffered by the residents in the area. There are different types of West Nile illness, the most serious can affect a person's nervous system and can be deadly. Depending on the type of WNV infection, there is a chance that you may not see any symptoms. The two types of illnesses are West Nile fever and Severe West Nile Disease. The most serious case can cause West Nile Meningitis. Important note, Five cases of Meningitis were discovered in Pennsylvania. 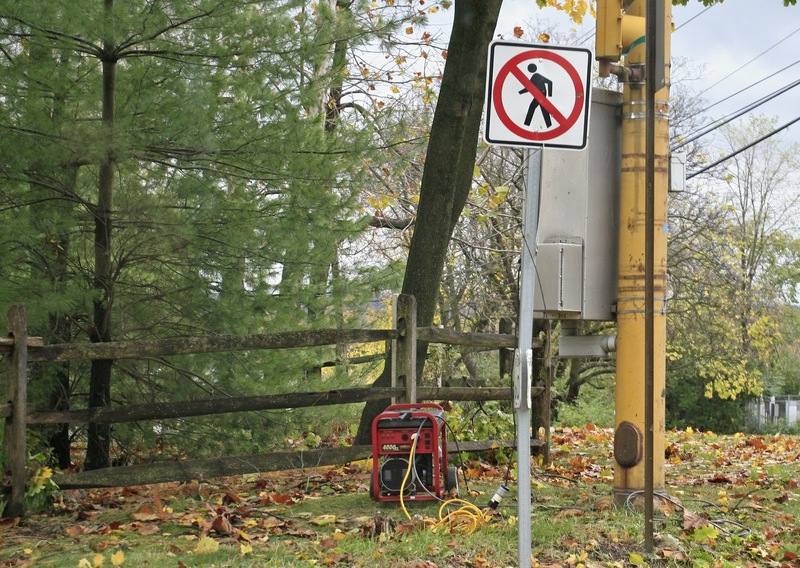 Did you know that they have been spraying areas of Montgomery County? About a week ago Hurricane Ernesto made landfall and we could only watch via maps, satellite images and text advisories. 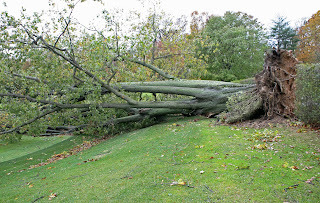 Now thanks to Storm Chasers from iCyclone, you can see a first hand account of the storm. During what seemed to be a normal day, we initially saw sunny skies on a typical warm day in August. Well we all know we are not in the tropics, but looking outside at around 2pm yesterday, we all would have thought that we were in the middle of a Hurricane. I was already aware that thunderstorms were getting closer to Montgomery County but the storms were closing in on our area a bit faster than I had expected. I was shopping for my nephews birthday in a well know toy store on Welsh Rd in Horsham. I was in the middle of the store and I could here thunderclaps in the distance, a few children in the store could be heard reacting to the sound of the thunder. I started to notice lightning flashes through the small skylights and by the time I had picked up a few gifts I walked to the front of the store where I was able to see out the front entrance area and saw a torrential downpour out in the parking lot. It appeared that we were having storm force winds of at least 50 MPH and after waiting a bit and looking at the radar on my phone, I decided to run out of the store to get to my car where I ended up drenched from head to toe. The rain was being blown around as in sideways. 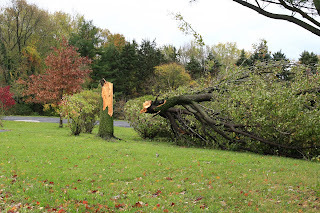 This event occurred around 2 PM and after I drove home I found evidence of wind damage across the street from the former Willow Grove Naval Air Station. Thanks to all my followers and weather fans, here are some pictures taken yesterday. Here is a copy of my storm report documented by The National Weather Service office in Mt. Holly, NJ. 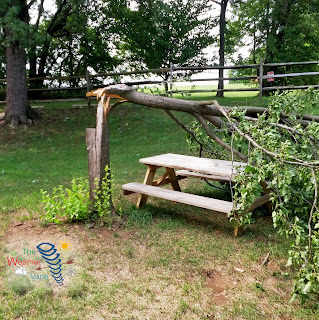 Thunderstorm wind damage, reported by trained spotter. Horsham. Also... fence blown over along Route 611. If you see this story from an email, click on the title to fully open the blog post and you can then see this video. 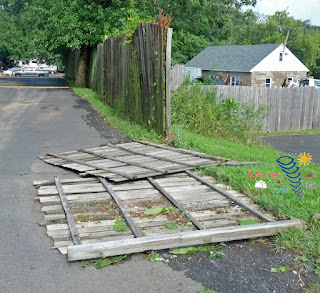 There was a terrible storm that hit part our area back on June 29th. 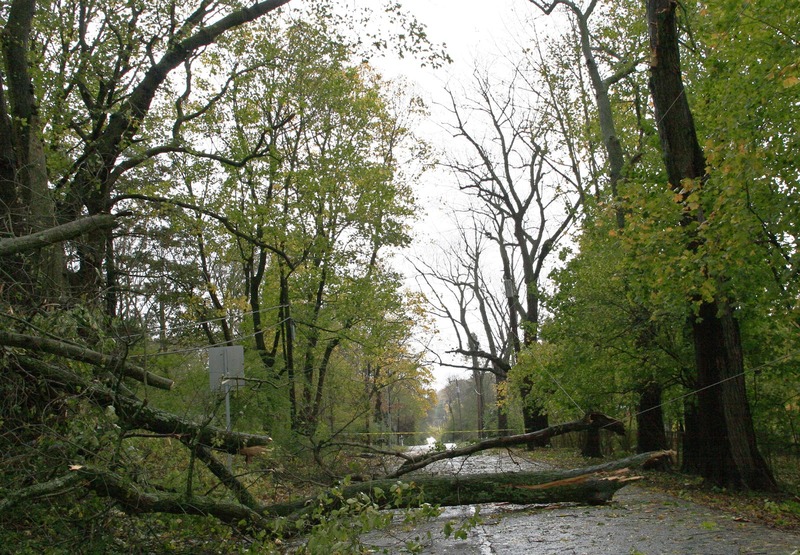 This powerful storm left thousands of people without power in the Washington D.C Metro area. 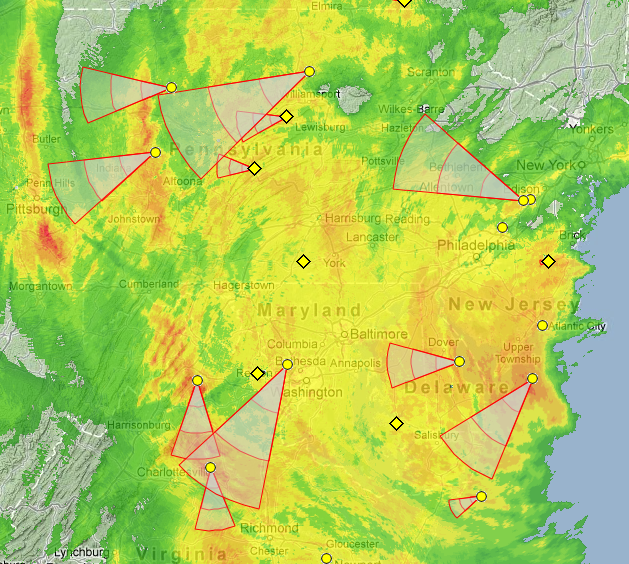 Meteorologists kept saying that is was a Derecho. A "Derecho" is a Spanish word for Straight and this is regarding the type of winds that this type of storm brings. 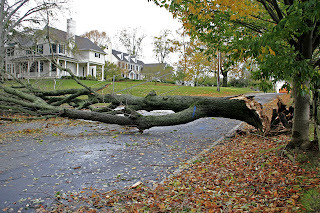 It is a widespread, long-lived, straight-line windstorm that is associated with a fast-moving band of severe thunderstorms. Generally, derechos are convection-induced and take on a bow echo form of squall line, forming in an area of wind divergence in the upper levels of the troposphere, within a region of low-level warm air advection and rich low-level moisture. They travel quickly in the direction of movement of their associated storms, similar to an outflow boundary (gust front), except that the wind is sustained and increases in strength behind the front, generally exceeding hurricane-force. 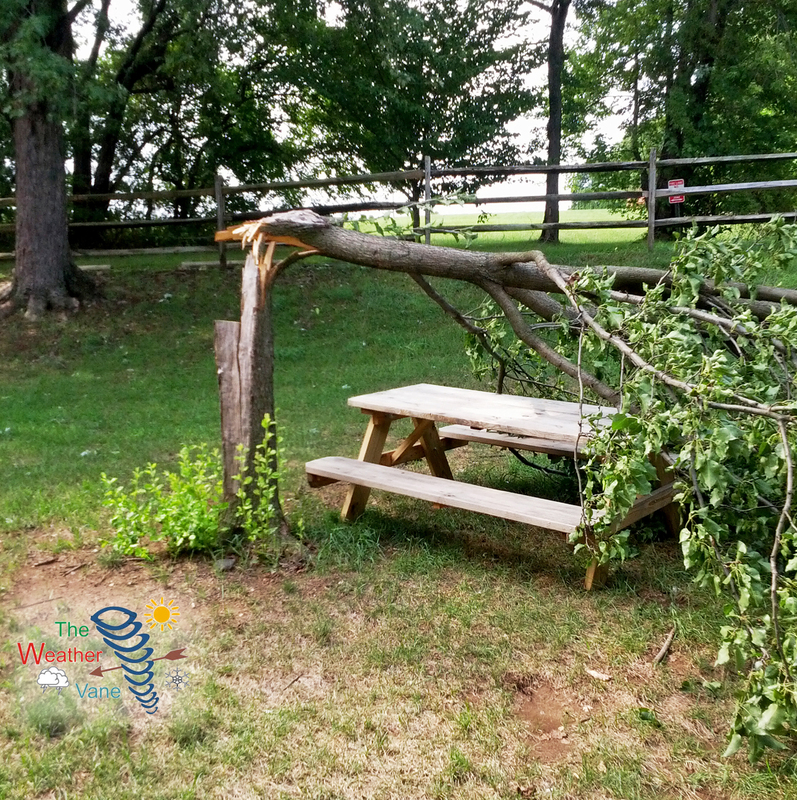 A warm-weather phenomenon, derechos occur mostly in summer, especially during June and July in the Northern Hemisphere, within areas of moderately strong instability and moderately strong vertical wind shear. They may occur at any time of the year and occur as frequently at night as during the daylight hours. Here is a video of that last event. This is incredible, a video composed of photographs taken from on board the International Space Station. A Photographer complied and edited the pictures on by one and combined all that hard work into an impressive display. The video shows the Aurora, night views of our cities, glows of thunderstorms, and of course the outbound starlit sky. This video is a must see, if you can please comment about it. Many thanks to Knate Myers (the Photographer) and Gizmodo.com that pointed out this video and to NASA for their work in outer space. Has anyone noticed the lack of tropical storm activity in the Atlantic Ocean? We do see storms in the Pacific, and this is because of the recent changes and effects of El Niño. I am waiting for the map on the blog to be updated to show data past July 4th, so until then I found this image from NOAA. You can see the positive phase evident from the higher ocean temperature readings off the upper west coast of South America. This is why there is terrible flooding in Arizona and horrific drought conditions in the mid west. I have been searching for a long time for evidence of climate change and I have read a lot about this topic. I had difficulty finding evidence of climate change, and I wrote a long story about flooding SE PA. I stated in that story that I could not find direct evidence of climate change. Now that I have continued to search for this, I did finally notice that the El Niño and La Niña cycles have become more frequent than before. These Oscillations used to occur every 11 years, this is no longer the case. There are many long term natural variables to change our climate, I have to say that it looks like mans habit of living comfortably may have a partial influence on our weather. A category G1 (Minor) geomagnetic storm is expected on 9 July. A category S1 (Minor) solar radiation storm is expected on 9 and 10 July. Category R1 (Minor) radio blackouts are expected from 9-15 July. The GOES 12 through 15 spacecraft each carry a sophisticated Solar X-ray Imager to monitor the Sun’s X-rays for the early detection of solar flares, coronal mass ejections, and other phenomena that impact the geospace environment. This early warning is important because travelling solar disturbances affect not only the safety of humans in high-altitude missions, such as human spaceflight, but also military and commercial satellite communications. In addition, coronal mass ejections can damage long-distance electric power grids, causing extensive power blackouts. Here is a great YouTube video from Trudi Kay where you can see the solar flare and other information such as the position of the Aurora and impact on our geomagnetic field, etc. It has been some time since I wrote about NPP or now known as the S-NPP (Suomi National Polar-orbiting Partnership). Forest fires in Siberia sent smoke across the Pacific Ocean where it was drifting over the U.S. and Canada. One of the five devices on board this high tech satellite is the OMPS (Ozone Mapping Profiler Suite). This device was used to track the smoke that was traveling such a long distance. Here is the video from NASA about the forest fires from May, 2012. One of the biggest concerns about public safety is the ability to communicate and educate. The Red Cross has an app for your iPhone or Android phone, the Red Cross app allows you to read and learn about common first aid tips with videos and quizzes. © Copyright The American National Red Cross. All rights reserved. Is Climate Change responsible for flooding in Montgomery County? It seems that throughout our local history, flooding has occurred in Montgomery County. The question is, is flooding occurring more frequently? As we know the last significant flooding was caused by two back to back storms which were; Tropical Storm Irene and Tropical Storm Lee. These storms did cause damage, there were reported deaths and damage to property in PA. 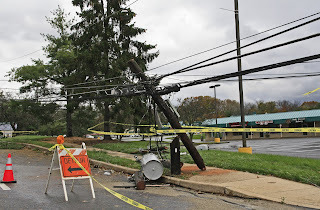 I was reading articles in local newspapers (last year) and I remember that there was mention that owners of local businesses in Hatboro, PA., were not prepared for these storms and as a result there was significant damage. I have written in the past of these events and it seems that these stories stay in our minds for a year or two and we soon forget, or because of the way that certain media depicts the weather, makes it easy for a storm to be a faded memory. I have to admit that meteorologists have a very difficult job, they are the brunt of jokes about being paid to be wrong. I remember that in my storm spotter classes, I have met a few meteorologists that work for the government and they themselves state that with the knowledge and tools that we have at this time, they can give a fair warning but it is difficult to be correct with a forecast. We need support of the government and media to help give a better public view of meteorologists and meteorology as a whole. The old saying about the boy who cried wolf should only apply in a story for children. The public needs to understand that when they see that a forecast for a storm is mentioned that they should check regularly be sure that there would not be a bigger storm brewing than expected. The problem with a forecast is that in a 24 hour period, there is a good chance for error. We should not be quick think that the error is simply the case of "it will not rain tomorrow or that storm won't do anything in our area". What can be done to help our community to be better prepared? Well, simple things like watching your local news really helps, better yet, I suggest that if you live in a flood prone area that you should have access to a weather alert service, like a NOAA weather alert radio (which is the best) or some other battery powered alert service. Second, we need to change the way we are educated about the weather. I have taken classes and I enjoyed them however, I know that public safety information has evolved since we were in school. I wish schools would teach children to show their parents about the dangers of flash flooding. Thirdly, we need to change our negative attitude about weather forecasts, we need to stop thinking that every warning is silly or something to be ignored. I think when a mortgage company has you sign on the X, they have you first read about the necessity of flood insurance. Many people do not know that there are records and maps of flood prone areas. I actually think some of this information is not made easy to find because it would hurt the Real Estate and construction business. This too could change, I think our local government should offer loans for people to modify their homes and businesses to be better equipped for a flood. It is an investment that could help everyone in the end. 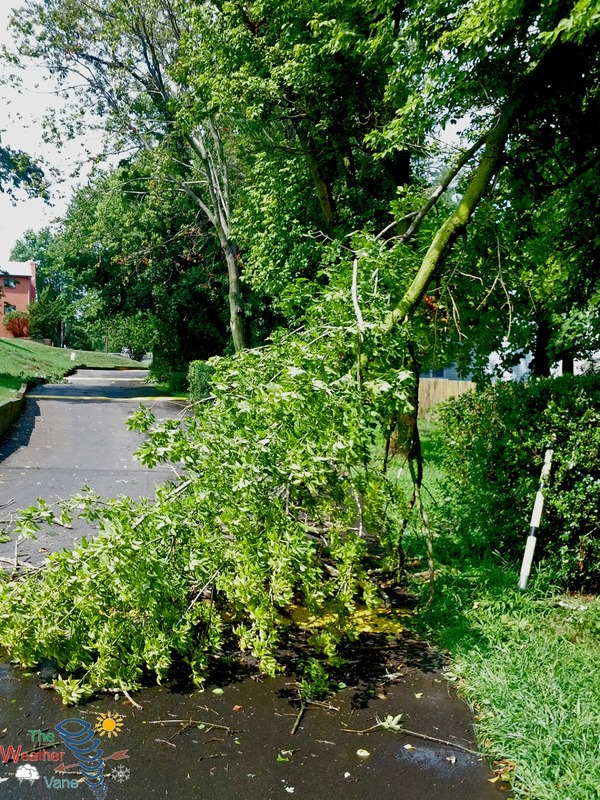 I walked through Hatboro last year and I saw the damage from Tropical Storm Irene and I immediately thought, how do you rent or buy property in a flood prone area like near a large creek? We cannot blame people, I think our community, our schools and our government all need to work together to find a long term solution for education and corrective civil planning. I know there are many distractions in our lives, teens for example have many electronic dependent habits, that keep them from knowing about current events other than reality shows, music and frequently incarcerated celebrities. I know that may sound a little harsh, and I know that we do not live in tornado alley, in comparison we really live in a weather comfort zone, where we rarely see storms that cause us to run for cover or to build storm shelters in our back yards. I think that this is exactly our problem, we live comfortably and this is the reason that we do not instinctively watch for storm forecasts in the news. Instead we are doing what we normally do in our lives. I recently wrote about the hail storm in Dallas and I know people that live there, they have a much different attitude about storm warnings and being prepared. They know that a bike helmet is not just for riding a bike and a basement is not just where the hot water heater is located. When changing weather is mentioned, we need to see if a storm watch is issued. FEMA and other agencies are working on more efficient warning systems using email, websites and our cell phones to work together as a central system to bring us early and clear alerts and urgent warnings to the public. In respect to the title of the story, is climate change causing more storm related floods in our area? I had found a formal report that was issued in July of 2010 from FEMA (Federal Emergency Management Agency) http://www.fema.gov/ The report shows a list of areas in PA that have had public works projects done within in the last 30 years to correct problems with storm drainage around local creeks and rivers. I am not so sure that the work that has been done is enough, we see evidence of this every time there is a storm. I have been in Fort Washington and other areas that have tremendous flooding and I think our government is aware of the problem and if it is a budget issue that prevents a more frequent review to fix the problems around flooded areas. Another source is FEMA's website that shows the frequency of storms from 1955 to the present and from what I see, there appears to be cycles where we have blizzards, hurricanes and storm, but I do not see a higher occurrence from this information. Now I have to say, I am not meteorologist or a climate scientist, I was only trained to identify a storm as they happen and record information. I am sure there are reports that have a wider range of data to show evidence of natural and unnatural influences on our climate. I am sorry to say that I did not find proof of that in my search. I do know that the polar ice caps are melting, which does have me concerned. There are osculations that impact ocean water temperatures called El Niño and La Niña and we are also in the middle of a 22 year solar flare cycle. These are a few examples to show how so many things we barely understand that can influence our weather. I do not think scientists are given enough funding to study our climate sufficiently. We all remember Katrina, well do we? We sponsor popular cultural events, why should be not sponsor scientists and organizations to help protect us and to better understand weather events. We have many old weather satellites that need to be retired, we may end up having problems detecting hurricanes in the future if some of these satellites are not replaced in time. I am still scratching my head as to why the space shuttle project ended and why we now need use Russian rockets for some space missions? I hope that my enthusiasm for studying weather and reporting shows, and helps people to think about storms floods and how we can alert and prepare us for the future.